When’s the Right Time to Install Radiant Heating? There are a few key moments in the life of a house when it makes particularly good sense to consider radiant heating. Read on to find out if now might be the best time for you. Energy efficiency and radiant heating are mentioned together so often that you might reasonably assume one had precipitated the other—that the drive for greater sustainability in home building gave rise to radiant heating as an innovative engineering solution. Actually, radiant heating has been around, in one form or another, for thousands of years. Its origins stretch all the way back into the mists of history. What’s new is that, after decades of continuous refinement, radiant technology has become viable—not as a supplemental luxury in, say, a chilly bathroom, but as an option for heating the entire home. Though Europe and Asia have already embraced radiant heating, it remains relatively rare in the United States. 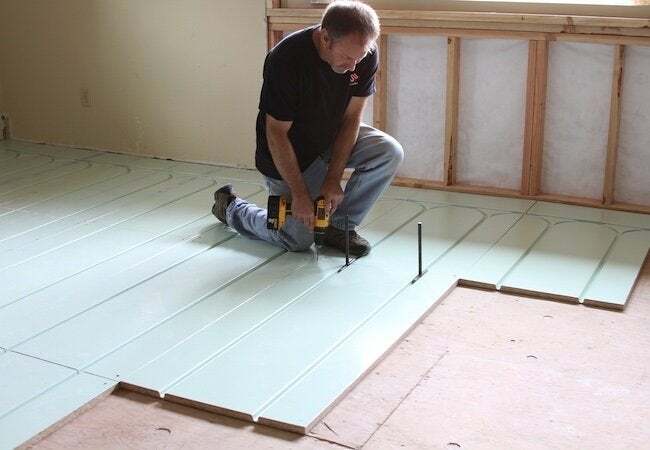 That’s all changing, however, as more and more people become aware of what sets radiant heating apart and how it surpasses the performance of traditional forced-air systems in myriad ways that really matter to the average homeowner. Who doesn’t want lower energy bills? Certainly, energy efficiency factors into the growing popularity of radiant heating. But for many homeowners who are making the switch from baseboard, radiator, or forced-air heating, comfort trumps savings. So, even though radiant systems run at lower cost, that’s not their most compelling draw. Instead, it’s the caliber of the heating experience. With heat delivered from the floor, you get a qualitatively different experience than traditional systems provide. Take forced-air, for example. By cycling on and off, forced-air heating creates not only noise, but also uncomfortable swings in temperature. Radiant heat, by contrast, operates silently, delivering steady, all-encompassing, “everywhere” warmth. Plus, because radiant involves neither dust-collecting ductwork nor intermittent blasts of heated air, it does nothing to exacerbate indoor air quality. That makes it a breath of fresh air for those accustomed to dry, sometimes stifling home heating setups. There’s one way in which radiant heating resembles the other options out there. Because HVAC components are so integral to the basic infrastructure of a home, they don’t usually lend themselves very easily to retrofit applications. With forced-air, the biggest hurdle lies in accommodating in the elaborate network of ducts needed to channel air from the furnace to the different spaces throughout the home. 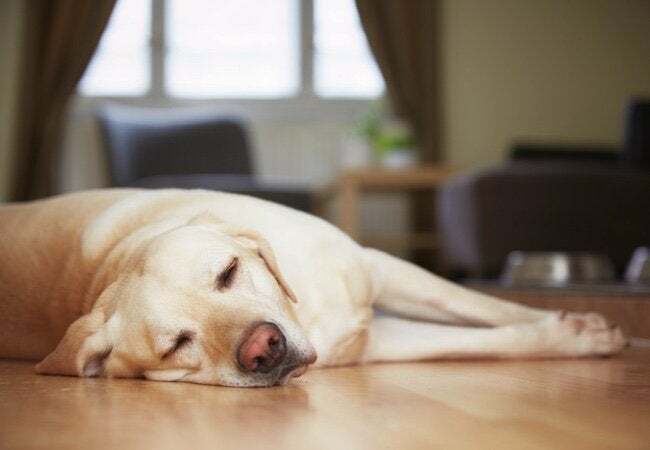 With radiant heat, the main impediment tends to be flooring. Often, owners of existing homes balk at the idea of removing their floors to make way for the radiant panels that slot in beneath. That said, there are at least three key transitional moments when homeowners enjoy a blank slate, when they are free to decide how their spaces ought to look and, more important, feel. Those are the times when it makes the most sense to put in a radiant heating system that can ensure comfort for years to come. Read on for details on these “hot” opportunities. 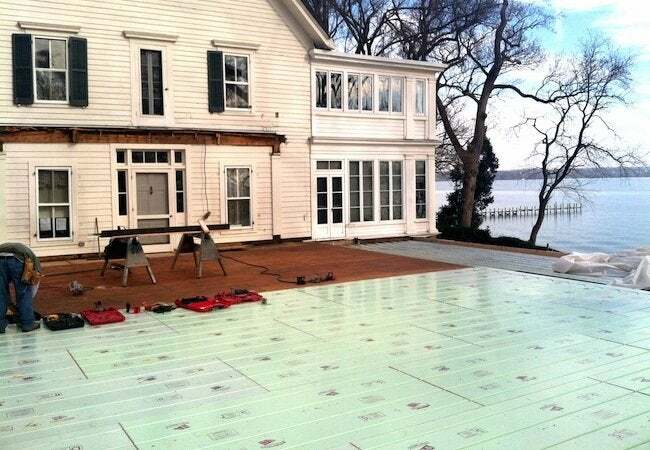 Perhaps the best time to install radiant heating comes when you are building a new home from scratch. In this scenario, the radiant system factors into the design plans, and the installation process can follow a logical order of operations. The radiant floor panels go in first, and the flooring material follows only after they are in place. Note that there are construction efficiencies designed into some radiant heating products on the market. For instance, industry leader Warmboard offers a series of radiant panels geared primarily toward new home construction. With 1-1/8-inch-thick plywood at their base, these panels do double duty, serving not only as the backbone of a successful whole-home radiant system, but also as the subfloor. Combining the two cleverly saves both labor and building material costs. If you’re planning a major renovation, either of one section of your home or of the entire structure, it’s well worth considering a radiant system. In the end, though, the decision may depend on the scope of your project and whether or not you’re going to rip out the flooring. If you opt in favor of radiant, bear in mind that there may be a slight height variation between a regular floor and a floor with radiant panels. For that reason, Warmboard manufactures a series of radiant panels specifically intended for remodels. At only 13/16 inch thick, these panels minimize floor height variations and facilitate installation within the confines of any existing structure. Of course, no matter how unobtrusively the panels slot in, you’ll need to make certain your boiler can service the hydronic tubes needed to channel hot water throughout the installed system. Radiant heating isn’t an all-or-nothing proposition. If you’re putting an addition onto your home, you can always continue to heat the older structure with your existing system while choosing radiant for the new space. 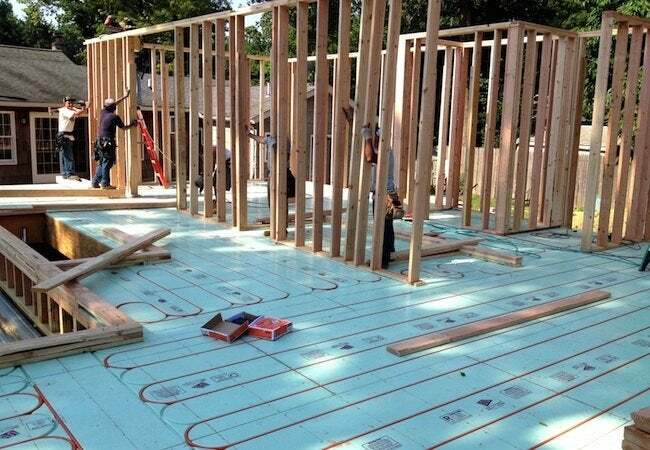 Practically speaking, working a radiant system into a home addition combines the benefits of new construction with some of the concerns that accompany renovation projects. On the one hand, you’re building from scratch, so, to an extent, the circumstances are ideal. There’s no flooring in the way, and tying the panels back to the boiler will probably not pose a problem. On the other hand, depending on the nature of your existing HVAC system, you may not have a boiler—and purchasing one and paying for its installation would add considerably to the overall project cost. Despite the cost of installation, radiant heating translates into real savings over the long haul. From the moment you begin relying on radiant heating, your monthly utility bills are going to go down and stay down. As those savings accumulate, you will slowly recoup what you paid to put the efficient system into place. Ultimately, the question may not be whether to install radiant heat. The only question is when.